Prior to founding Newpage, David Green was a partner of PricewaterhouseCoopers in Macau, and later Director of the firm’s gaming practice. He has advised on casino regulation in a number of geographies, including New Zealand, Singapore, Macau and Taiwan. 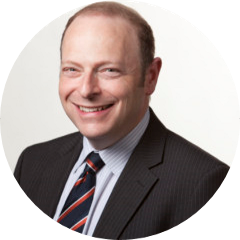 Peter is Director, Regulatory Affairs for The Agenda Group having previously been the Executive Commissioner and CEO of the Victorian Commission for Gambling Regulation. As the VCGR’s inaugural Executive Commissioner, Peter was responsible for all aspects of gambling regulation in Victoria including regulatory oversight of a casino, slot machines, lottery operators, a parimutuel operator, bookmakers, sports betting, keno and charitable gaming. 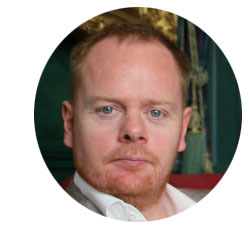 Peter’s main areas of expertise are providing gambling policy advice to governments and regulators, developing compliance regimes, recommending improvements in regulatory processes and assisting industry to achieve improved regulatory compliance. Peter is a Trustee of the International Association of Gaming Advisors and a member of the Advisory Board of the UNLV International Center for Gaming Regulation. Do you want to be part of the Asia Gaming Awards? totalisator; and licensing of new casinos and gambling operators. Queensland and the National On-line Gambling Reforms. Rodney is the founder and Chairman of Bromhead Holdings Inc. a Philippine company formed in 2015.
of EGTs to E Games and E Bingo venues. Subsequently SHL also became an operator of both game types. In 2015 Bromhead Holdings went on to acquire the Philippine assets of Silver Heritage Ltd.
Management in London and Liverpool. in Manila with his Wife and daughter since 1997. Previously held several positions in PAGCOR namely; Assistant Vice President, VIP Services Unit and Assistant Vice President, Marketing and Casino Customer Relations. Former Undersecretary for Special Concerns for the Presidential Communications Operations Office, Malacanang. Holds substantial experience in business development and consulting. York for seven years overseeing 5,300 slots and ETGs. where he served several roles and managed 4,700 slots. working at Twin River Casino. Ross Ferrar has worked in the Gaming industry since 1979, in several jurisdictions in Australia and Europe. He has held senior management positions in casino table gaming, networked keno gaming and machine monitoring and networked jackpot operations; along with a number of industry representative roles. He routinely liaises both domestically and internationally with many segments of the gaming community including Venues, Suppliers, Media, Social Commentators, Politicians and Regulators. Prof. Davis Fong is the Director of Institute for the Study of Commercial Gaming as well as an Associate Professor of the Hospitality and Gaming Management Program at University of Macau. Pursuit of academic interest has led him to study different aspects of gambling and related issues, such as responsible gambling, gambling disorders, the social and economic impacts of gambling, Chinese gambler behavior, visitor profile studies, casino operations, tourism management, etc. 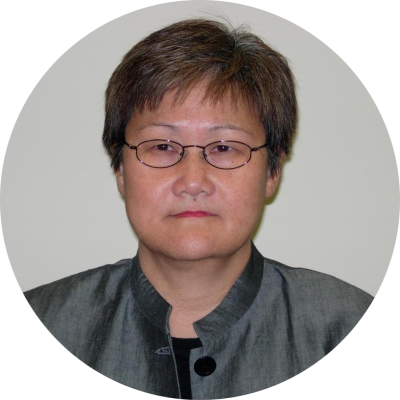 Prof. Fong has been responsible for more than 20 gambling and tourism related research projects for Macao SAR Government. He was appointed by the government as a member of Economic Development Committee since 2007, the Social Work Committee since 2012, and the Talents Development Committee since 2014. Ken Jolly has truly had global experience in the gaming industry. His gaming career started over 37 years ago in New South Wales, Australia. His career covers gaming industry technical, sales, and senior management. During the last 20 years Ken’s international market roles have included the general management in New Zealand, Vice President of Sales, Service & Marketing in the Americas (North, South America & Canada), General manager of Sales and Marketing for all of Europe and General Manager of Asia Pacific for a competitor. He additionally served as the Executive Vice President & General Manager of a global Japanese gaming manufacturer having responsibility for Australia, Asia, Europe and Africa. He managed Shufflemaster growth in Asia until it was purchased by Bally Technologies and then purchase of Bally by SG (Scientific Games) he has integrated the Asian subsidiaries. Now he is responsible for the Gaming Division of SG in Asia. GamePlan Consultants offers boutique high level consultancy and training to gaming establishments all over the world. Currently, Sudhir is also honorary professor of marketing at Bond University in Australia, and chair of the Board of Advisors for the Gaming Management Program at Macau Polytechnic. Until June 2015, Prof. Kalé was advisor to Sands China Limited where he was in­charge of creating an optimal customer experience for guests across six hotels, five casinos, billions in retail sales, and the second largest convention center in Asia. Prof. Kalé is widely regarded as an expert in various aspects of gaming management such as customer relationship management (CRM), customer loyalty, customer experience, market segmentation and positioning, and customer lifetime value (LTV). Prof. Kale’s gaming client list includes diverse casino companies such as Marina Bay Sands, Galaxy Macau, Starworld Hotel and Casino, Mohegan Sun, The Olympic Entertainment Group, Sun International, Casinos Austria, Mocha Slots, IGT and Crown Casino. Rick Lin, executive assistant of BBIN for The International Development Group, is the head of a professional team to continuously expand the company’s presence on an international level. 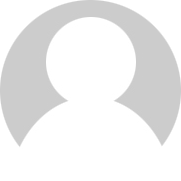 In the recent years, Rick has devoted himself into delving social media for slots content based growth campaigns. His success was paved solidly by almost a decade in implementing outstanding digital marketing, incorporating both off-line & on-line strategies, media planning, and building profitable performance marketing programs. Furthermore, he has in-depth knowledge with brand building, customer acquisition and expanding the partner channel. He is passionate about the digital marketing landscape and is continuously focused on improving the online and multichannel customer experience benefiting from both strategic and tactical experience. In summary, Rick is outstanding at providing professional consulting, marketing, development, operational and management advisory services to the gaming and solution seeking clients. Dean M. Macomber has over 40 years of diversified experience in the gaming industry ranging from Dealer to CEO, development to operations, and through all phases of the business cycle. He has been involved in the opening of 7 casinos and 2 takeovers. 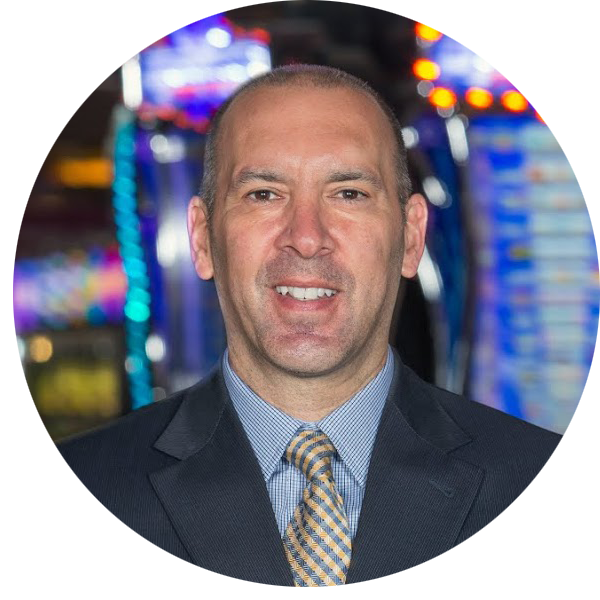 He has worked in Las Vegas and Atlantic City as well as consulted or worked in most other U.S. venues, Asia (Macau, Singapore, Philippines, and Cambodia), Russia, Australia, France, Canada, and the Caribbean involving mega­destination resorts, urban/suburban day trip operations, Native American Projects, racinos, and small locals­oriented casinos. Mr. Macomber is now a president of his own consulting firm, Macomber International, Inc. A frequent speaker, he has presented over 65 speeches, taught college­level courses on casino management, and authored 20 articles. Mr. Macomber holds a masters degree from the School of Hotel Administration at Cornell University. 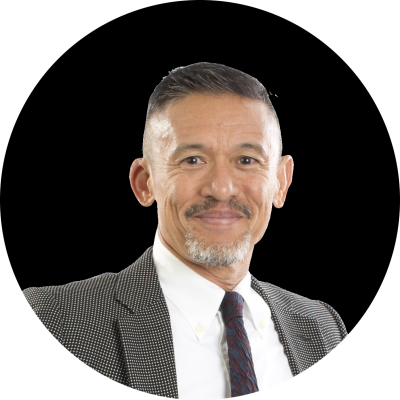 Luis has a wealth of over 23 years of experience during which he has assumed a broad range of legal roles, extending from teaching law to advisory positions at Government’s highest level, senior corporate executive positions and private practice. He was executive vice­president, general counsel and joint company secretary for Sands China Ltd. where he developed an unique set of skills in all matters related to Gaming & Hospitality, Corporate, Banking & Finance and Listing Rules. Previously Luis was chief legal counsel for NagaCorp (HKEx 3918), the largest hotel, gaming and leisure operator in Cambodia, and a partner of MdME, a Macau based law firm. Currently he is the chief legal counsel for Asian Coast Development (Canada) Ltd, an international development company specializing in integrated resort destinations. ACDL, through its wholly­owned subsidiary Ho Tram Project Company Ltd, is the developer of the Ho Tram Strip in Vietnam. Luis is ranked as a Tier 1 Macau lawyer by IFLR. Bill Mummery has enjoyed a varied international business career spending twenty years as MD of overseas companies within a major UK PLC both in Africa and the Far East. Bill became involved in the e­Gaming sector in the late 90’s when he was invited to become a director of one of the first online Sports Books founded in 1998, which was floated on the London AIM market in 2000. 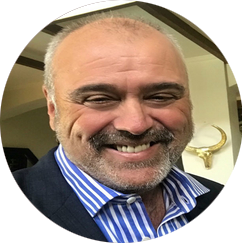 In 2005 Bill was invited to assist the Isle of Man Government as their e­Gaming Ambassador responsible for inward investment from the sector, an interesting role combining bringing together and influencing both the Private and Public sector stakeholders. In 2008 Bill took up his present role as Executive Director of Celton Manx Limited – the Isle of Man based operations of www.sbobet.com. In this capacity he has been part of a small team responsible for the launch of the company’s European operations and within this, the securing of the sponsorship of West Ham United in the English Premiere League. Katrina Nepomuceno is a member of the Philippine Bar and a General Member of the International Masters of Gaming Law. She is one of the few gaming law practitioners in the Southeast Asian region and has behind her 20 years of gaming law practice in the Philippines ­­ covering land-based gaming such as bingo, casino, slot arcades, e­casino arcades, lottery; and internet gaming. Ms. Nepomuceno has extensive experience in the field of gaming as the legal counsel for Leisure and Resort World Corporation, a company listed on the Philippine Stock Exchange which owns and has interest in various gaming operations in the Philippines. She has worked closely with the Philippine Gaming Regulators in drafting various gaming policies and regulations. Currently, Ms. Nepomuceno is the legal counsel of First Cagayan Leisure and Resort Corporation, the master licensor of online gaming in the Cagayan Special Economic Zone and Free Port located in the Philippines. She is credited with being instrumental in drafting and formulating internet gaming policies, rules and regulations for the jurisdiction, as well as compliance requirements. Mr. Pisano, more commonly known as “Joe”, is the founder and CEO of Jade Entertainment and Gaming Technologies, which was founded in the Philippines in 2009 and is now a Pan Asian supplier of Gaming Technology, Joe was the former director for business development Asia­Pacific of IGT (NYSE: IGT) and executive director and senior vice president of Entertainment Gaming Asia (formerly known as Elixir Gaming Technology) and former international projects manager for Automatic Totalisators Ltd.
Joe’s Gaming experience includes Systems, Slots, Lotteries, Bingo and Totalisators. Joe obtained his Masteral Degree in Business and Technology at the University of New South Wales – Australia. He has over 30 years of experience in global gaming technologies. Chris Rogers founded 113 East Limited in 2007, a privately owned Macau­based and licensed Operating, Distribution & Consulting Company. 113E has existing operations in various locations in Macau, Cambodia, Vietnam and Sri Lanka with over 300 machines in operation. Chris was formerly the director of international sales & marketing for Stargames, an Australian gaming company, acquired in 2005 by Shuffle Master Inc. In 2009 Chris co founded FabSmart Company Limited with factory facilities and headquarters located at Chonburi Thailand. Chris has worked in Asia for the past 15 years, the last nine in Macau. His experience includes work in Russia, South America, North America, Canada, UK and Asia. Chris has built a strong reputation as a hard worker and professional in the gaming industry and advises various companies throughout the world. He has a Diploma in Hospitality Management and over 20 years experience as an operator, sales & marketing manager and gaming executive. Robert Stocker is a member of Dickinson Wright PLLC, where he chairs the firm’s Gaming Practice Group. Robert has an international practice in the areas of gaming (commercial, Internet, charitable, Indian, and sweepstakes), regulatory, corporate, and alternative insurance programs (captives and insurance pools) law. Robert is also an adjunct professor at Thomas M. Cooley Law School, where he teaches gaming law, business planning, business organizations, and alternative insurance programs. He is a founding member and past president of the International Masters of Gaming Law; Chair of the American Bar Association annual program on gaming enforcement, the Gaming Law Minefield Conference; past Chair of the Gaming Law Committee of the American Bar Association; a member of the Editorial Board of Gaming Law Review and Economics; and a member of the International Association of Gaming Advisors. Robert has spoken on numerous gaming, business, and alternative insurance issues at a variety of national and international conferences and educational programs. 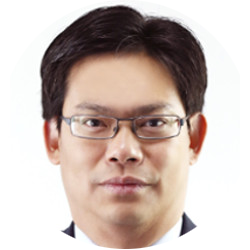 Tony Tong is also co­founder of SuperAngelsVentures.com, Pacific Financial Services, and former director of FirstChina.hk listed on the Hong Kong Stock Exchange (8123.HK). Previously, he worked at Andersen Consulting (now Accenture) and Shenzhen Dena Law Firm. Tony has served on the G2E Asia Conference Advisory Board and is a frequent speaker on Asian gaming technology and technology investment in China. He has spoken at the APEC International Finance & Technology Summit, China Venture Capital Forum and China Hi­Tech Fair. Tony graduated with a bachelor’s degree in mechanical and industrial engineering from the University of Minnesota. Mr. Tong has been named one of “25 People to Watch” by Global Gaming Business magazine, one of the “Asian Gaming 50” by Inside Asian Gaming Magazine, and has been featured in Forbes China Magazine. Jesper Ramskov Jensen is a consultant for operators in Asia and European operators seeking a presence in Asia. He was previously the CEO of Yew Tree Services in the Philippines from July 2015 to April 2016, and was the CPO of Tipico from April 2013 to November 2014.